SC&T is a member of the Aberdeen City Youth Music Forum and a member of the Tradlinks group which is part of the Aberdeenshire Youth Music Forum. The Tradlinks group includes Aberdeen International Youth Festival, the Gaitherin and activities in Portsoy, Fraserburgh and groups in the North East of Scotland. 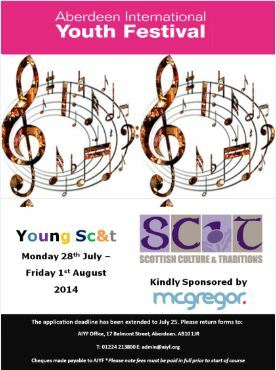 Young SC&T is an exciting opportunity for children in P4 - P7 to participate in AIYF whilst developing and exploring their skills in traditional music. Learning from experienced tutors, the young talent will be engaged in a week-long series of intensive classes to help younger musicians extend their repertoires in Scottish Traditional Music. To qualify, young people should be able to play some simple tunes on an instrument. Download an application form at http://www.aiyf.org/Summer-Courses Deadline for applications now extended to Friday 25th July! Participants from our youth workshops performed at the SC&T end of term concert in December 2013. Young SC&T was an opportunity for children P4 – P7 to participate in AIYF whilst developing an d exploring their skills in traditional music. Learning from experienced tutors, the young talent was ngaged in a week long series of intensive classes to help younger musicians extend their repertoires in Scottish Traditional Music. Participants performed at the university on August 3rd, 4.30pm to show off their new skills to a live audience. The tutors were Kenny Hadden, Laura Lockyer and Martin MacDonald. Main instruments were the whistle, flute, fiddle, guitar and each also had the opportunity to try a second instrument. In October 2009, SC&T provided a week-long traditional music school for young people aged between 10 and 14. In 2010 year the Young SC&T Traditional Music School ran from 19-21 October. The three day course finished with a sharing for friends and families on Saturday 23 October at 12.30pm. All Young SC&T 2010 events took place in the Lemon Tree, West North Street, Aberdeen. 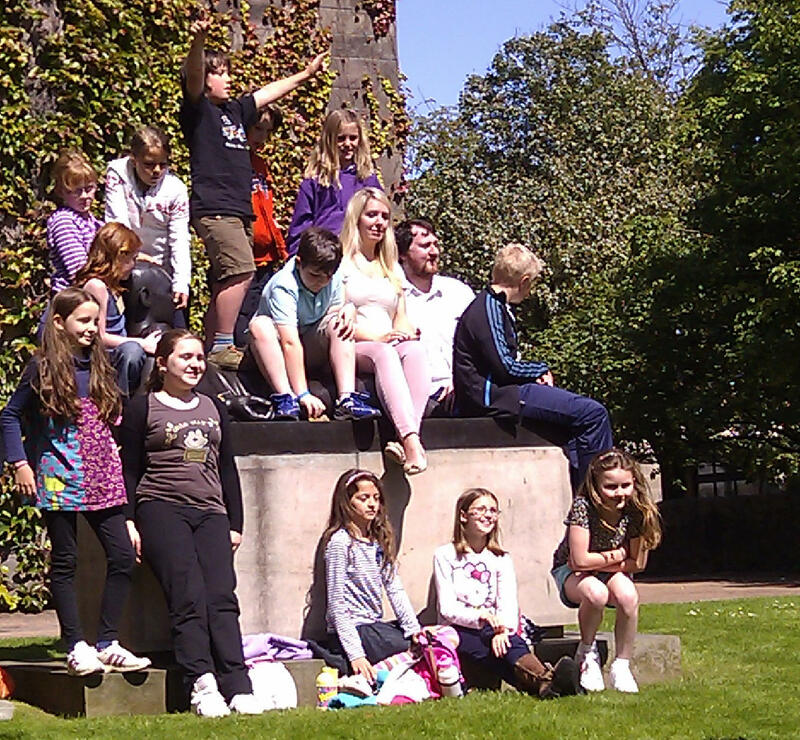 SC&T has previously worked in Aberdeen City schools through Aberdeen's Children's University. A pool of tutors delivered after school activities to Primary 6 and 7 children.